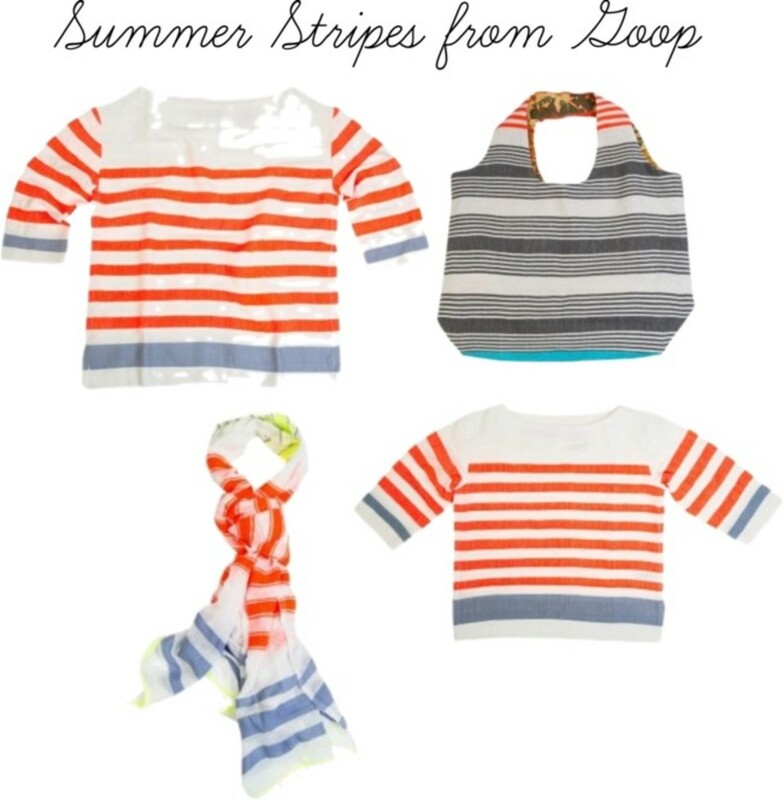 When I saw Gwyneth Paltrow&apos;s Lemlem for Goop collection the other day, I just knew I had to cover summer stripes for this week&apos;s trend roundup. I&apos;m a full fledged stripes addict. Even when I&apos;m carrying a few extra pounds and logic would tell most people to steer clear of stripes, I can&apos;t resist them. I just choose stripes that are slimming. They exist. I promise! Thin, vertical and diagonal stripes make you look leaner while wide horizontal stripes add some substance. They&apos;re perfect if you&apos;re looking to add some curves! The Lemlem for Goop stripes are actually a happy medium and should work for most people. Did I mention that there is a children&apos;s tunic that matches the women&apos;s tunic? Mommy and me fashion doesn&apos;t get much chicer than this folks! Can&apos;t you just see yourself with your daughter at a clam bake on the beach? Those tunics are screaming for some beach time no? Or is that just my fantasy? Haha! And I love that they&apos;re handcrafted in Ethiopia and promote economic independence in the region. Beautiful designs for a beautiful cause! I also love a good stripe in accessory form! Goop has you covered on that end as well. Whether you&apos;re looking for a tote or a jaunty scarf, you can find just what you need in the Lemlem for Goop collab. Boy am I in trouble! My large and in charge scarf collection is already busting at the seams. Haha! So, are you ready to shop the Lemlem for Goop collab lovelies? I know I am! summer perfect espadrilles. 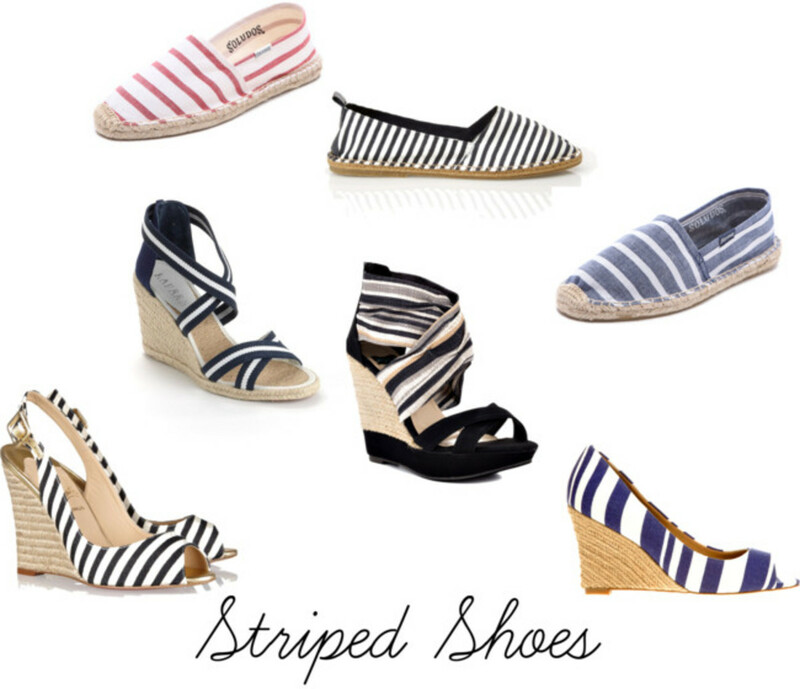 Whether we&apos;re talking about flats or wedges, striped espadrilles are always on my summer lust list! My recommendation is that you pick up a pair of each. Flats for everyday wear and wedges when you want to amp your look up a bit! What kind of stripes do you like to rock? Inquiring minds want to know!